Although it is unknown when sports were first played indoors, we know that sports have been around for over 15,000 years, with the first documented event as a footrace between two cavemen. Progress in architecture and technology have allowed for outdoors competition to transition into indoor sporting events. In modern day, indoor sports continue to represent a high proportion of athletic events as many outdoor sports are being played under the confines of an indoor facility. Indoor sports allow for a healthy alternative to playing outdoors all year round. Participation can occur during any time of the year and training has subsequently improved. Indoor sports participation is also on the rise as heat and cold illness awareness has increased. 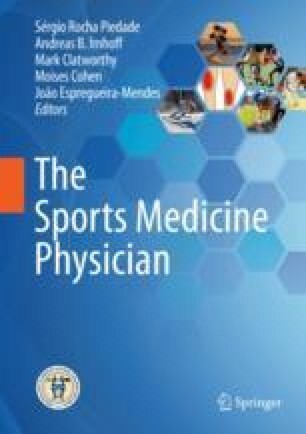 Participating in sports in an indoor environment can place unique demands and challenges on the athlete, coaches, healthcare team, and administration. Participation Statics. http://www.nfhs.org/ParticipationStatics/ParticipationStatics.aspx/. Accessed 13 Aug 2018. Association SFI. Mixed Martial Arts (Competition) Participation Report 2017], 2017. https://www.sfia.org/reports/553_Mixed-Martial-Arts-%28Competition%29-Participation-Report-2017. Accessed on 2018. USA Gymnastics. USAG Membership Statistics. https://usagym.org/pages/index.html. Accessed 1 Mar 2007. PubMed Entry. http://www.ncbi.nlm.nih.gov/pubmed/26665051. Accessed 10 Aug 2018. Rio 2016: Daily viewership figures | statistic. Statista. https://www.statista.com/statistics/589506/olympics-daily-viewership/. Accessed 14 Aug 2018. Boys’ and Mens’ Volleyball Participation Continues to Lag - Athletic Business. https://www.athleticbusiness.com/College/boys-and-mens-volleyball-participation-continues-to-lag.html. Accessed 12 Aug 2018. Associates FW-FIdL. Roots and History of Olympic Wrestling], 2009. http://www.fila-official.com/in-dex.php?option=com_content&view=article&id=12&Itemid=100152&lang=en.